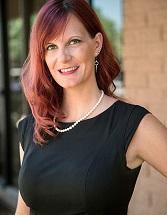 Devoted to criminal defense and civil litigation, Charity Clark Law PLLC in Chandler, Arizona, has a reputation as an aggressive law office. We know that in matters such as DUI, felonies and misdemeanors, time is of the essence. Our team acts quickly when a client is under investigation or has been arrested. Providing honest and sound advice, we advocate for people at every step in the justice system. For decades, we have returned favorable results for our clients, including case dismissals and not guilty verdicts. Whether in trial or in negotiations, the team at our law office is steadfast in our commitment to act in the best interests of those we represent. Charity Clark Law PLLC offers free initial consultations and accepts credit cards. We serve clients throughout Maricopa County.